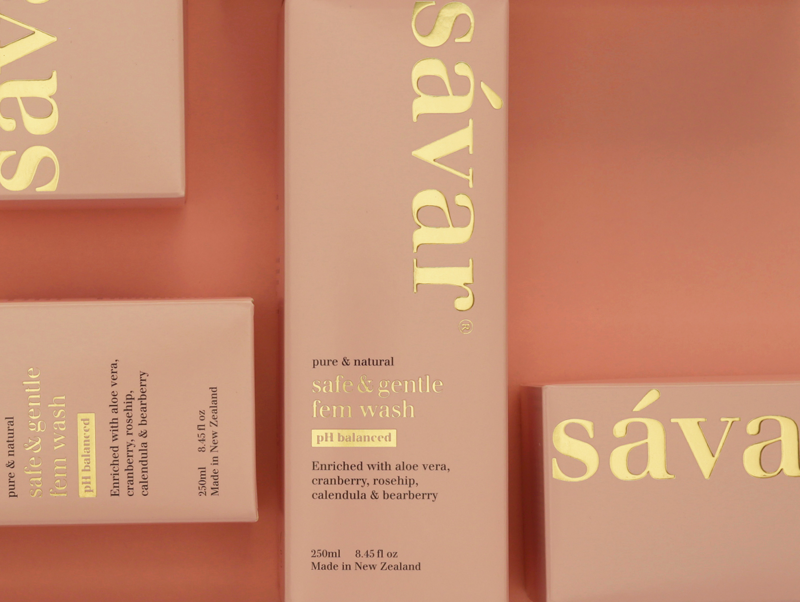 Savar, a recent grand finalist in the 2017 New Zealand Exporter of the Year awards has become a truly international brand. 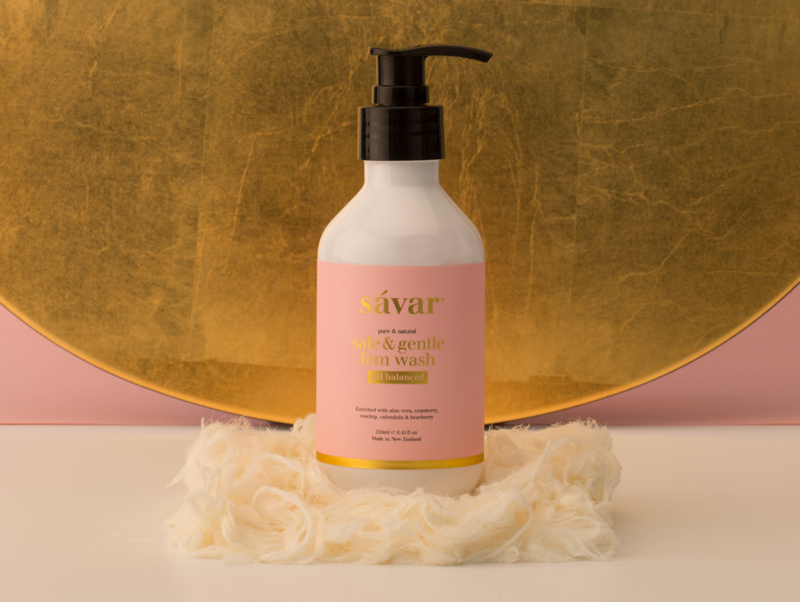 Their prominence as a premium natural skincare company has continued to grow with innovative products including a new Femwash designed to address specific hygiene needs. 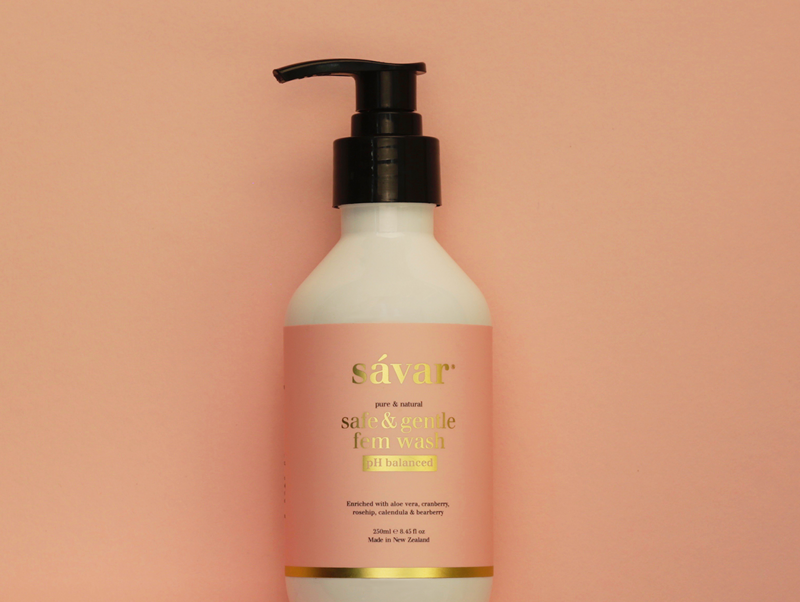 We wanted to elevate a female wash from a basic pharma product to high-end lifestyle. 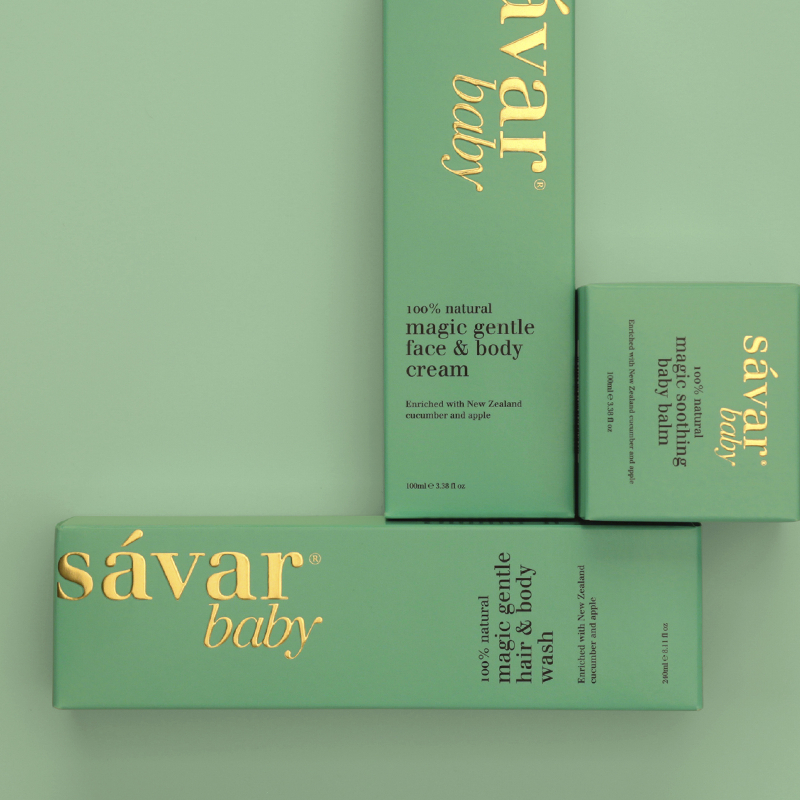 Strategically we had to ensure the new packaging would work and co-exist alongside the entire Savar product portfolio. 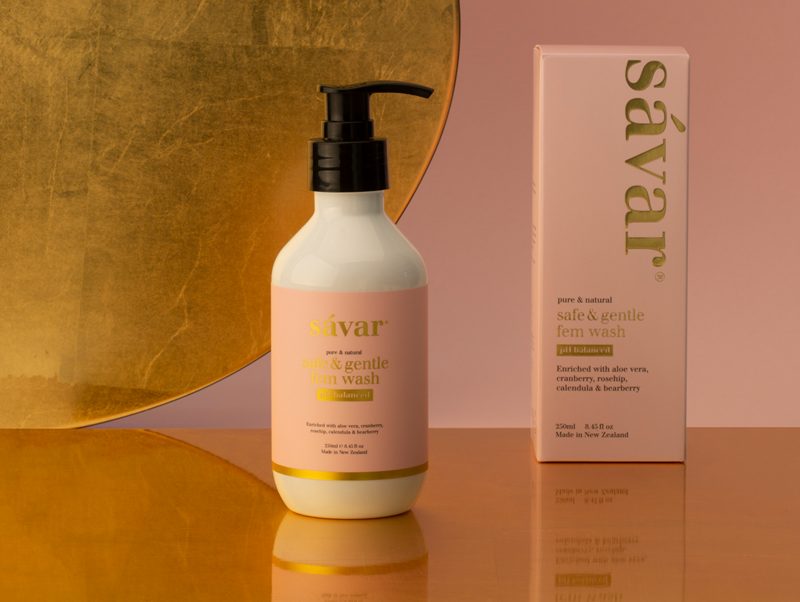 A new colour system was introduced for differentiation and create standout on store shelves, providing increased visibility and reflecting Savar’s premium proposition. 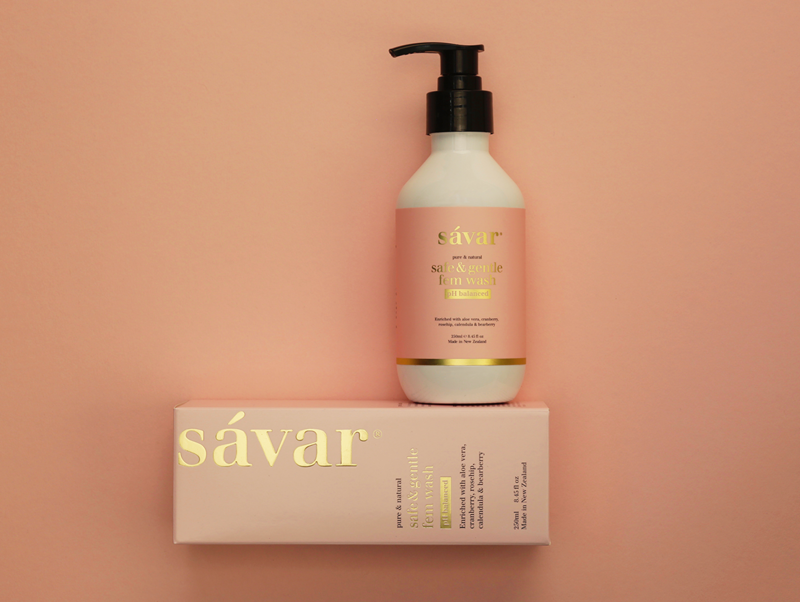 The new look packaging maintains the Savar system giving a cohesive look and feel. 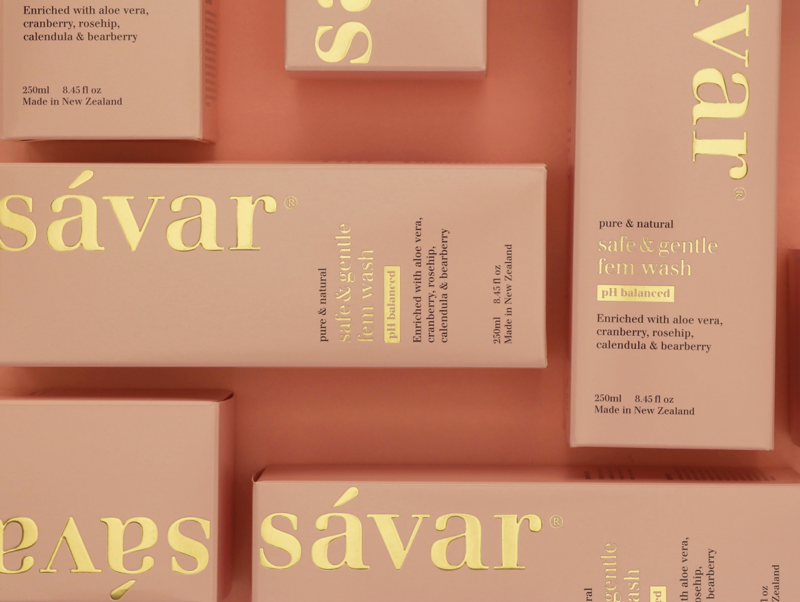 The forms remain consistent with the Savar brand, however the colours change for this line. Embellishments lift the packaging and make it beautiful with the soft blush colour and gold foiling. The packaging captures balance between the design and aesthetic, providing a feminine hygiene product in a very elegant and design driven manner. These products are designed to be left out on the counter and not hidden away in a drawer - important for a premium skincare brand.